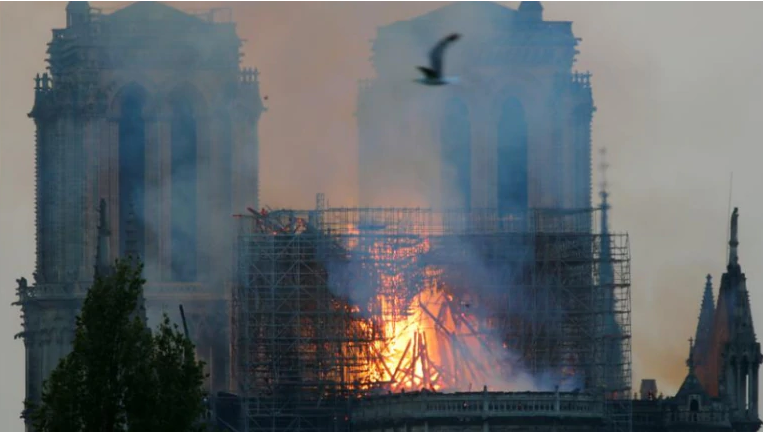 French President Emmanuel Macron said France would launch a campaign to rebuild the cathedral, including through fundraising efforts and by appealing to "talents" from overseas to contribute. A centuries-old crown of thorns made from reeds and gold and the tunic worn by Saint Louis, the 13th-century king of France, were saved, Notre-Dame's top administrative cleric, Monsignor Patrick Chauvet said. But firefighters had struggled to take down some of the large paintings in time, he said. The cathedral, which dates back to the 12th century, featured in Victor Hugo's classic novel "The Hunchback of Notre-Dame". It is a UNESCO World Heritage site that attracts millions of tourists every year. 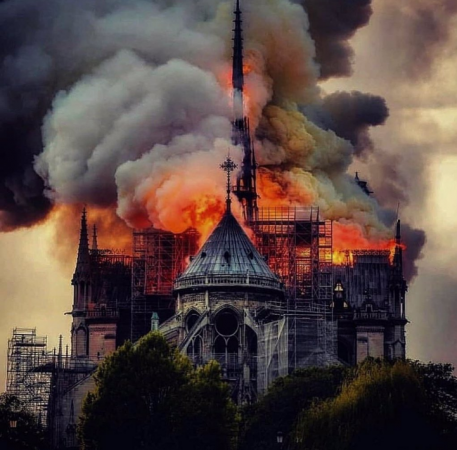 It was ransacked by rioting Protestant Huguenots in the 16th century, pillaged again during the French Revolution of the 1790s and left in a state of semi-neglect. Hugo's 1831 work led to the revived interest in the cathedral and a major - partly botched - restoration that began in 1844.